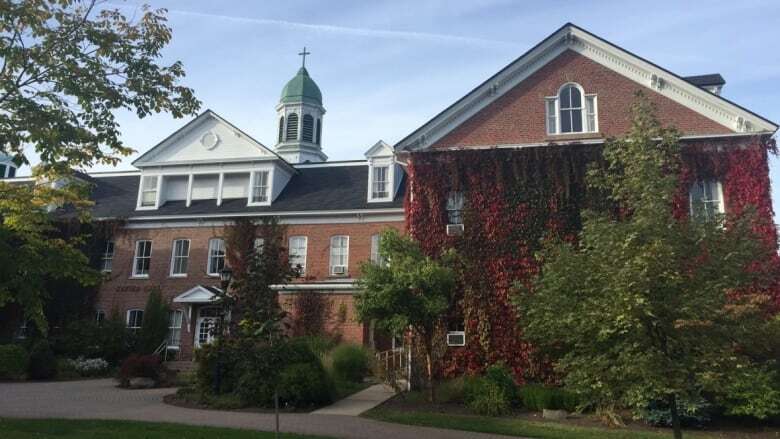 Staff at St. Francis University’s Coady International Institute are bracing for layoffs after having to decide whether to take a voluntary severance package this week, according to the union that represents some of the centre’s approximately 40 employees. Staff at St. Francis Xavier University's Coady International institute are bracing for job losses after having to decide whether to take a voluntary layoff this week, according to the union that represents some of the centre's approximately 40 employees. For 60 years, people have travelled from around the world to study at the Coady. The institute focuses on community-based development practices and leadership education and was founded in the spirit of the Antigonish movement, which championed social justice. Mary Oxner, president of the St. FX Association of University Teachers, says the institute has strayed from its roots in dealing with its employees amid concerns about morale and finances. "There's an atmosphere of discontent that has been brewing for some time," she said. "Some people have characterized it as one of intimidation. That's been very difficult." St. FX said it has been forced to cut expenses now that Global Affairs Canada has discontinued its core funding. The university has resubmitted the proposal and is waiting to hear if it has been accepted. Andrew Beckett, vice president of finance at the university, told CBC's Information Morning, that the Coady is dealing with an annual operating deficit of up to $700,000. The Coady is undergoing "a fundamental shift" to appeal to Global Affairs's new funding priorities, he said. That means offering more off-campus courses and supporting people doing work in their communities. "We recognize that the institute needs to be a more flexible, a more adaptable institution with less fixed costs and that unfortunately means that we do have to reduce some of our staffing positions," he said. On Feb. 5, Oxner and the rest of the St. FXAUT executive committee signed a letter to university president Kent MacDonald. They described an "impossible choice" presented to Coady employees at a Jan. 23 meeting: a voluntary severance package or layoffs of about a third of the institute's staff later in February. Oxner said the rationale presented was there was a $7-million budget shortfall due to a lack of $3 million in Global Affairs Canada funding and $4 million in receivables that wasn't, or couldn't, be collected. "Our members, and members of the Nova Scotia Government and General Employees Union, and professional staff … they're going to take the brunt of the accountability through their job loss for, I would say, inaction or lack of leadership at the Coady Institute," Oxner said. The association represents about 10 of the institute's employees. Some other staff are represented by NSGEU. Staff had until Feb. 6 to accept a voluntary severance package. Oxner didn't know how many people took the package but she didn't expect many members would given their ages and job prospects in the area. Beckett said the university is still determining the layoff list based on the applications that were received. But he did say that there will be a focus on decreasing "administrative overhead" rather than cutting positions that would impact programming. He expects about 20-25 staff will be left after the layoffs. "We want to get those done as quickly as possible because we are concerned about the climate in Coady," he said. The proposed layoffs are the latest troubles for the Coady. In December, two people, one current employee and a former staffer, told CBC's Information Morning there's a culture of fear and very low morale among staff. Oxner said her union has been hearing concerns from members about a "toxic" workplace for about two years and some people have left their jobs as a result. "It's been called an intimidating environment. The words harassment have been used. We've been exploring and investigating what that looked like and what their experiences have been," she said. Oxner said it doesn't make financial sense for the university to pay out severance packages — a minimum of eight weeks of pay minimum — while it still needs to deliver programming. "I have a concern that [St. FX is] using this financial crisis to actually target specific individuals who have been vocal or who have even asked questions about strategy and how that links to programming," she said. The StFXAUT is calling for the university to conduct a review of the institute's leadership and for the layoff process to be on hold until they know more about federal funding. Back in October, RCMP charged the institute's former finance director with fraud and theft. James Edward Marlow, who was fired a few months earlier, was charged with theft over $5,000 and fraud over $5,000. In court documents related to a civil case, Marlow admitted to forging invoices, requisitioning cheques and then depositing the money into his personal account. St. FX has claimed damages of at least $243,000. Last year Global Affairs Canada provided $3.1 million, accounting for 39 per cent of the Coady's total budget. In a statement sent to CBC late last year, it said it was reviewing whether any of the federal funding was implicated in the fraud case and any further funding would be held until it was determined that appropriate controls were in place.